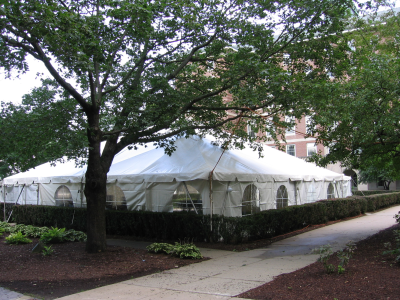 Frame Canopy Tents are an elegant solution for party planners working with slightly smaller areas. These tents can be setup on grass as they must be staked into the ground. We no longer setup tents on asphalt or use alternate methods for securing tents on non-stakeable surfaces. Unlike traditional rope and pole tents, frame tents do not have center poles and require fewer stakes. 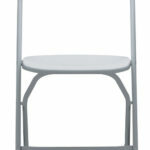 Toomey's currently carries 4 sizes of Frame Tents which can be installed by our skilled crew. Other sizes may be available upon request. Much like when considering a DIY Canopy or Rope Tent it's important to remember what else you wish to put under the structure. 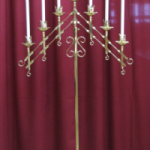 The table above provides for seating only and does not take Dance Floors, Bars, or Buffets into account. If you're unsure what size tent is right for you feel free to contact us and we'll help you pick out what tent best fits your needs. 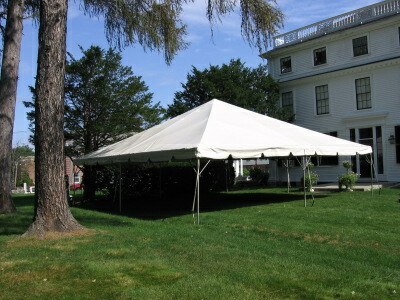 Frame Tents provide great protection from both the sun and inclement weather. 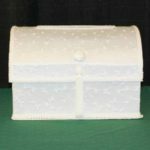 These tents do not come with sides but solid or window sides can be added for an additional cost. Because of the minimal need for stakes these tents can be setup on either grass, asphalt and (in some cases) concrete or decking. It's important to note that tent cannot be setup near power lines, phone lines or cable lines so the area has to be relatively clear above the tent and its surrounding perimeter. 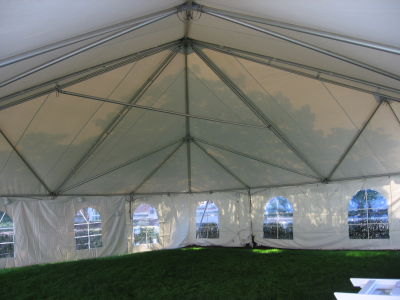 All of our Frame tents require a building permit and dig safe clearance. This process takes upwards of seven business days (even longer in some towns) We recommend placing an order as far in advance as possible.